Amrit Khurana’s artistic career began as a young child. Her parents noticed her love for drawing at age four, and her talent for painting was recognized by her teachers at the Selaqui International School in Dehradun at age eight. She continued her traditional schooling until the 8th standard, when she narrowed her focus to art with the help of her mother Aarti and the Pathways School in Noida. In the years that followed, she developed her distinctive style and branched out to other art forms like ceramics. 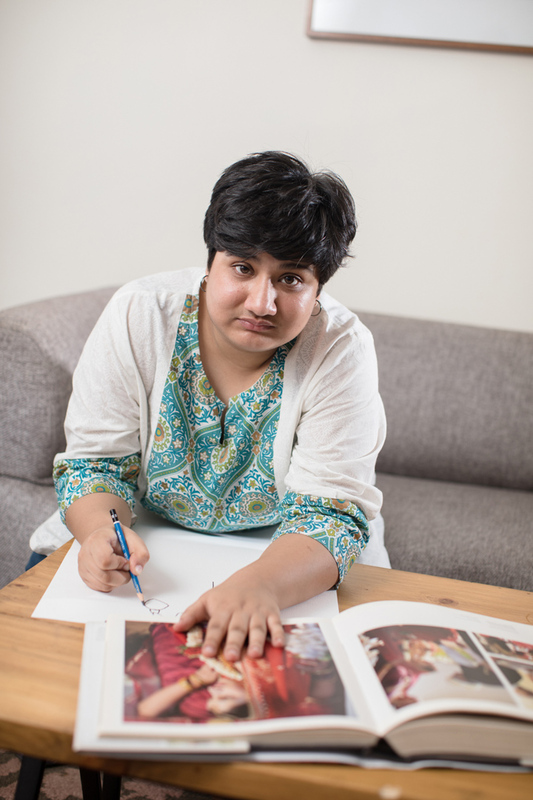 Her artwork has been exhibited at several galleries in Delhi and beyond, including the 2015 Art of Autism Exhibition in Beijing. Art has helped Amrit overcome many of the communication limitations that result from autism. Her paintings are bold and colorful, shaped by lines that form abstract figures. She features images from film and television, smoking sadhus, friends, and street scenes, as well as abstract concepts and moods. She continues to create and exhibit her art regularly, contributing to an impressive body of work. Amrit has a website containing her latest work, a blog, and a YouTube channel. For inquiries about all available art, please contact Not Just Art. "Amrit Khurana: Even The Drunk Man On The Street Can't Be Written Off!" YouTube, uploaded by Mojarto – An NDTV Venture, 29 Sept. 2016. Bhanj, Jaideep Deo. "Amrit’s World of Colours." The Hindu, 5 July 2016. Hosseini, Debra. "Amrit Khurana Autistic Artist from Noida India Expresses Herself Through Her Unique Art. "The Art of Autism, 10 June 2013. HT Correspondent. 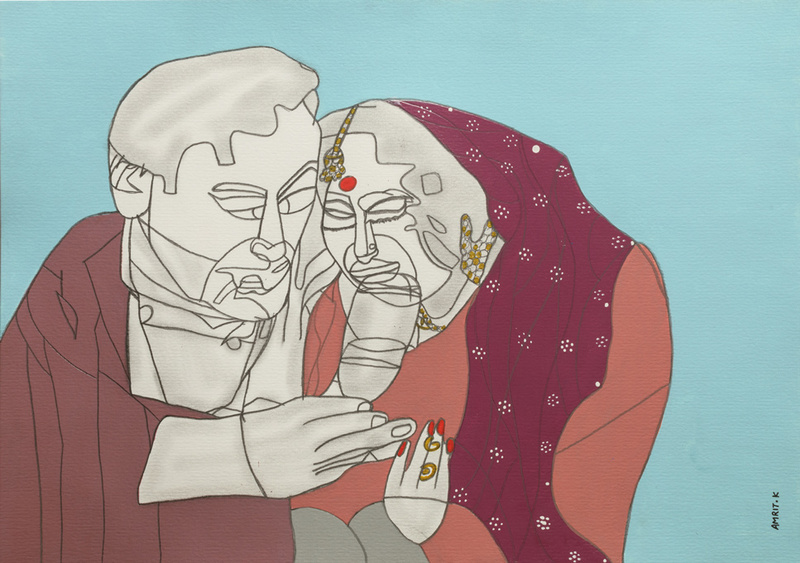 "23-Year-Old Autistic Artist, Amrit Khurana’s Sublime Fantasy Takes Wings." Hindustan Times, 29 June 2016. Popli, Bhumika. 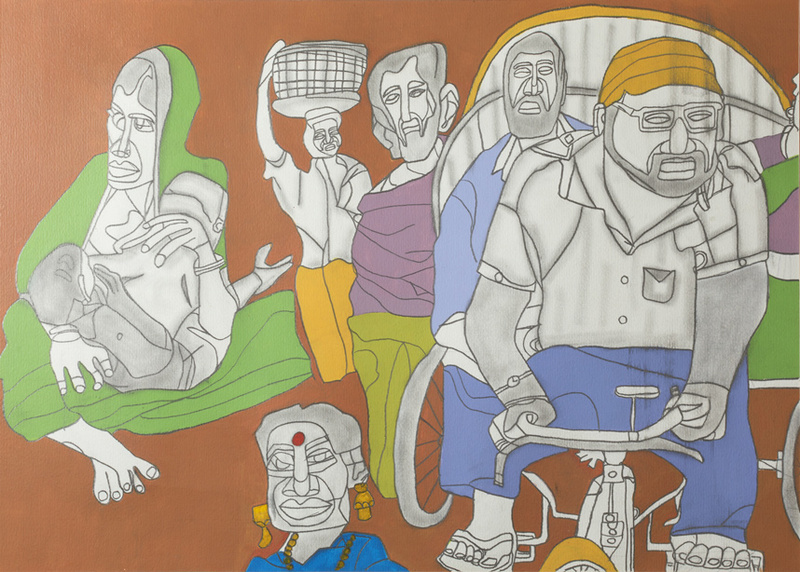 "This Differently Abled Young Artist is a Creative Powerhouse." Sunday Guardian Live, 24 Sept. 2016. Tarishi, Verma. "This Autistic, Young Artist is Making Sense of the World, One Line at a Time." The Indian Express, 8 July 2016.